Dr. Joseph Mercola, M.D. : "The current generation of phones on the market -- DECT (Digital Enhanced Cordless Telecommunications) cordless phones -- broadcast microwave radiation twenty-four hours a day at a devastatingly high strength.... Replace your cordless phones with a landline phone." Dr. Conrad Holzmyster, M.D. : "Cordless phone radiation is a powerful energy. I've observed that people exposed to it for long periods often suffer from erythema, abnormal redness of the skin, in their face and neck areas. There are medical studies indicating that low-level microwaves produce biological effects similar to UVB radiation from the sun. Erythema, involving capillary inflammation, resembles a superficial sunburn. Cordless phone radiation could be a factor in the rapid skin aging we see in so many people these days." Cordless phone charger bases plug into landline jacks, but allow phone users to detach the handset and wander far from the base during conversation. Microwave signals from the cordless base antennas travel up to hundreds of feet, passing easily through human flesh and through most construction materials. Microwaves also flow into the brain and body from cordless handsets during conversation. ♦ "People who have used a cordless phone for ten years or more have higher rates of malignant brain tumor and acoustic neuroma (tumors of the ear which cause hearing loss). It is worse if the cordless phone has been used primarily on one side of the head." The most advanced and powerful cordless phone technology is digital enhanced cordless telecommunications, also known as DECT. This system is based on GSM cell phone technology. DECT phones, some of which emit the complex modulation patterns of spread spectrum, are currently irradiating millions of US homes, offices and large business environments. Some DECT phone systems can support several or even hundreds of handsets, allowing for conferencing between phones located in different rooms. Many commercial centers now deploy DECT PBX systems. DECT phone systems emit microwave radiation in the frequencies of 1.9 gigahertz or the more energetically potent 5.8 gigahertz. These are frequencies which alternate the polarity of human cells billions of times per second. DECT radiation also includes continuous energy pulses at 100 hertz, a very low frequency which can exert powerful biological effects. While the 1.9 DECT systems are used mainly for voice, the 5.8 DECT systems can be used to text, video stream and transmit pictures along with other data. 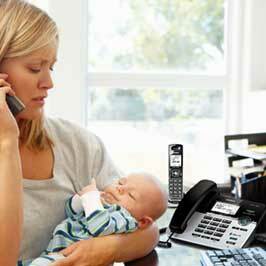 DECT systems can also be used with Voice over Internet Protocol (VoIP) technology. If you put an audio microwave detector next to a DECT phone base, you hear a powerful hissing, static-like roar. A DECT phone can bombard a home or office with more intense radiation than that produced by a cell tower just outside the building. The only way to stop DECT radiation is to unplug the irradiating phone base from the electrical outlet. The gigahertz frequencies emitted by cordless phone systems are capable of unleashing the same damage to human cells as ionizing X-radiation. This was documented by the European Union's REFLEX studies showing that only 24 hours of wireless radiation in the 1.8 gigahertz range can inflict upon human DNA the damage equivalent to hundreds of chest X-rays. The cordless phone frequencies of 1.9, 2.45 and 5.8 gigahertz, pumped at near-field into the human body, agitate cells at an even higher vibrational frequency than 1.8 gigahertz. As with other wireless communication devices, a cordless phone is therefore equivalent to a personal X-ray machine. 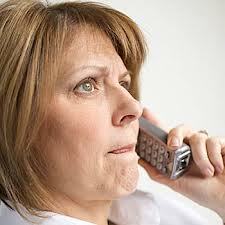 Some cordless phones are reported to emit over 10 microwatts per cm2 (or 6.5 volts per meter). 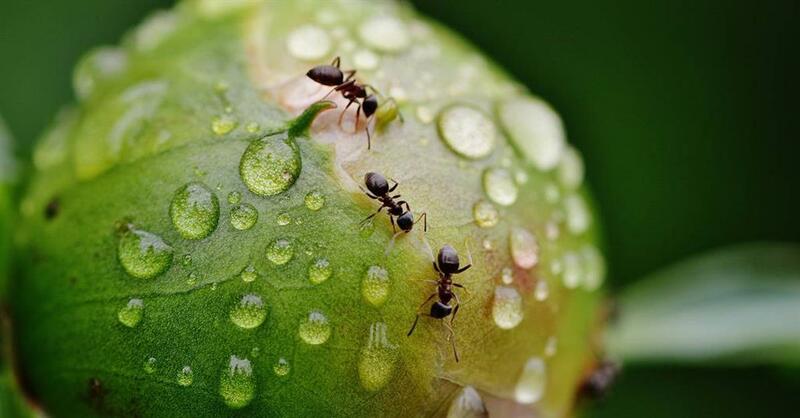 This exposure level is hundreds of times more powerful than levels shown by medical studies to cause a multiplicity of negative biological effects in both animals and humans (over .05 volts per meter). Microwave frequencies emitted by cordless phones are also documented to agglutinate (clump) red blood cells, causing them to become sticky. This is a condition which lowers oxygen and impedes blood flow. These same frequencies cause cell membranes to weaken and leak calcium. These same frequencies can cause blood pressure to rise or fall dramatically, depending on the exposure. All of these factors are linked not only to heart attacks, but also to strokes, which are increasing exponentially among VERY YOUNG Americans. No one knows how many vulnerable people end up in hospital emergency rooms each year with heart attack and stroke symptoms precipitated by cell phone and cordless phone radiation. A great travesty of our Wireless Age is the fact that Big Radiation is exempt from adequate consumer disclosure laws when it comes to documented dangers of microwave exposure from low-powered devices. 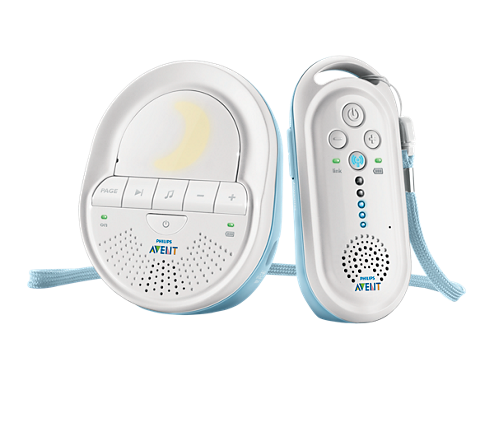 Many uninformed parents are seduced with glitzy ads to buy wireless baby monitors, many of which use 1.9 gigahertz DECT technology. The wireless baby monitor seen here was advertised as capable of sending DECT gigahertz signals indoors for up to 50 meters in all directions. Based on the latest science, pulsed microwave radiation in the gigahertz spectrum is a confirmed human carcinogen, yet it is being pumped non-stop into newborns and toddlers in the name of safety. 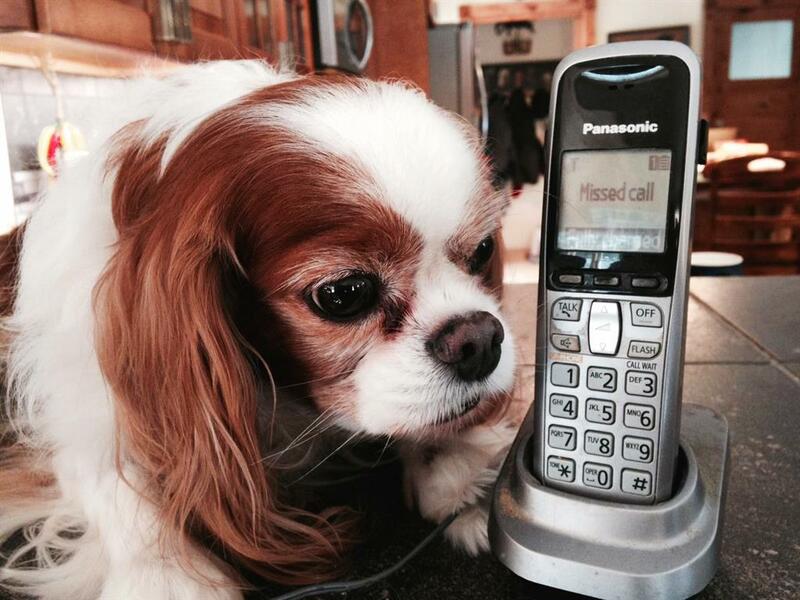 Millions of pets are also exposed to chronic doses of cancer-inducing cordless phone and Wi-Fi radiation in their toxic homes. Thousands of scientific microwave experiments have been performed on animals who suffered sickness and death after very low levels of microwave exposure. It's no surprise that, in the United States, an estimated one million dogs are diagnosed with cancer each year. About one half of all dogs over the age of ten develop malignancy before they die. Undoubtedly, countless others suffer cancer without diagnosis. On the market are many varieties of wireless headsets used in telephony, some of which are advertised to be so powerful that they can send microwave signals up to 600 feet in line of sight. Many American workers are encumbered with such wireless headsets, including those which utilize DECT technology. Current law does not require workers to be informed that the use of microwave-emitting headsets increases their risk for brain cancer, as well as for tumors of the eye, salivary glands and thyroid. Nor does the law require that pregnant workers be informed of documented risks to a fetus from teratogenic and carcinogenic radiation flowing through the mother's body for hours at a time. Any worker, subjected as a condition of employment to microwave exposure of the tumor-prone head and thoracic region and also to the reproductive organs, is logically justified in asking for extra health benefits and/or for hazard pay to minimally compensate for such horrendous health risks. Unfortunately, the federal Occupational Safety and Health Administration (OSHA) remains silent on this critical subject. When cordless and DECT cordless phone systems were first put on the market years ago, manufacturers were not required to produce rigorous pre-market testing for human health effects of the microwave radiation emitted by these devices. And still today, thanks to political and economic pressures, neither manufacturers nor US government regulators provide up-to-date consumer health warnings about cordless phone radiation. The wireless radiation industry is therefore free to "farm" consumers as if we were mushrooms, keeping us in the dark and feeding us manure. The DECT Forum, a global trade association of corporations profiting handsomely from DECT technologies, boasts that DECT devices and systems emit radiation within international exposure guidelines. As carefully documented at this website, modern science has demonstrated that these guidelines, codified years ago to serve military-corporate interests, are badly outdated and non-protective of human health. Ericsson, a corporate member of the DECT Forum (Aastra-Ericsson), has boldly stated: "While the available science does not show that any health problems are associated with the radiowaves from mobile communications, some people express concerns." That is because informed people are now aware of the thousands of studies which broadly contradict Big Radiation's blatant propaganda. 1. Use non-microwave, corded landline phones at home. It is helpful to install a wall jack and a corded phone in every room, including the deck and patio. This precautionary approach is exponentially cheaper than serious medical bills. Many landline phones have good speakers which allow hands-free convenience. 2. It is currently legal in the US for anyone to irradiate and possibly murder his neighbors with carcinogenic wireless radiation which travels far and easily penetrates walls and windows. Learning how to detect this insidious pollution is a valuable tool for health defense. Obtain audio-enabled microwave monitoring equipment which allows you to both MEASURE and HEAR unwanted radiation intruding from neighboring cordless and DECT phone systems. Learn how to shield your apartment or home with barrier materials such as radiation-protective paint, fabrics and/or aluminum or copper screening. And be sure to educate your neighbors who are also suffering from ubiquitous but silent radiation poisoning. 3. Refuse to patronize or work for businesses and companies which have weaponized their environments with deadly cordless/DECT phone radiation. 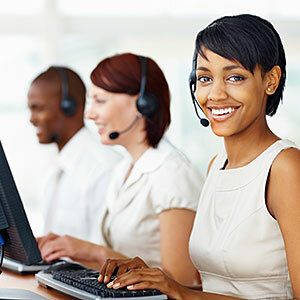 If your company requires you to use any variation of cordless phone or DECT technology, arm yourself with the latest science to demand safe, non-microwave office phone systems as a basic human right to safety in the workplace. 1. Some corded landline phones can be as microwave-intensive as DECT phones if they offer an option to add a cordless satellite phone. Such phones are labeled “multiple handset capable” and they may heavily irradiate a home with perpetual emissions, even though they do not appear to be cordless, per se. 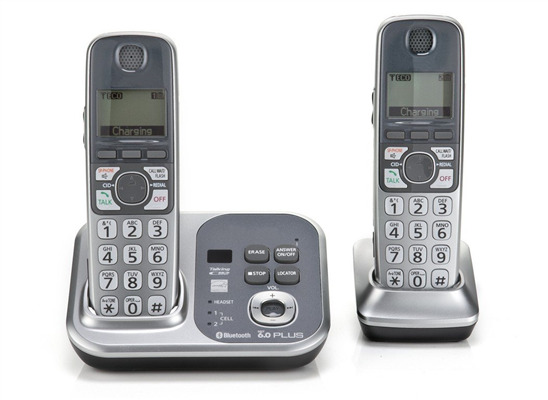 When purchasing landline phones, consumers must read box labels carefully for frequency information. 3. DECT telephony equipment licensed for use in USA by the FCC carries the designation DECT 6.0 to distinguish it from DECT devices used in other countries. The 6.0 designation does not refer to radio frequency, as does 5.8 gigahertz, for example. Nix any phone that carries the DECT 6.0 logo, which confirms that microwaves flow directly into the human body from both the main base and from the handsets. Many office supply and hardware stores carry corded landline phones. Amazon offers a great selection of inexpensive, non-microwave phones. Please do not construe anything at this website as medical advice.